Announcement Thank you for visiting my shop, I encourage you to look around! 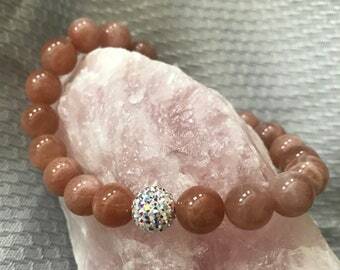 If there are certain stones you are drawn to or are looking for ones with specific healing properties or a certain price point, I would be more than happy to work with you to help design a custom bracelet. 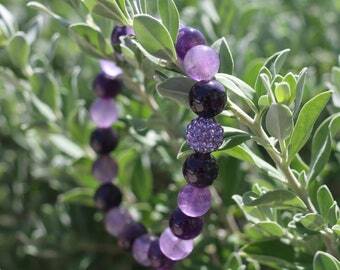 Prices vary based on stones, crystals and silver beads used. 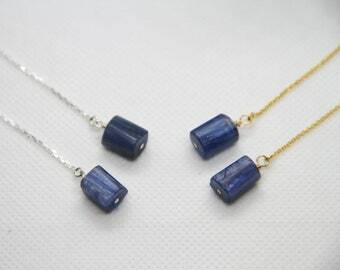 Each bracelet comes in a gift box, which makes gifting simple! Thank you for visiting my shop, I encourage you to look around! 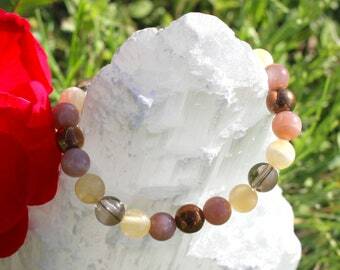 If there are certain stones you are drawn to or are looking for ones with specific healing properties or a certain price point, I would be more than happy to work with you to help design a custom bracelet. 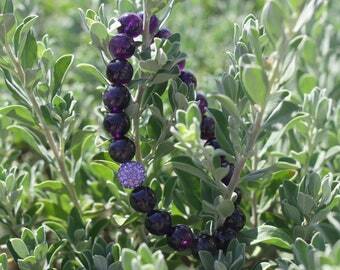 Prices vary based on stones, crystals and silver beads used. 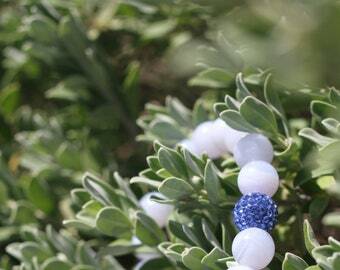 Each bracelet comes in a gift box, which makes gifting simple! This was purchased as a gift for my son's fiancee and she absolutely loved it!! Very prompt delivery. She is wearing it every day. The seller designed this bracelet perfectly for me. Very quick to answer questions. Plus I even learned how to measure my wrist!! The package came very quickly and it was packaged beautifully. I absolutely love it, and I cannot wait to start wearing it. I love this beautiful set! Made well, feels so good on, and looks great! I usually wear them together but once in a while separately. Package arrived quickly. I couldn't believe how beautifully packaged, with a hand written scroll inside of the energetic properties of each bracelet. The packaging was so beautiful, I didn't want to open it and ruin it, but I was dying to take my new bracelets out!